Winkler knives are known for their strong built and tactical function, and the Winkler Defense Dagger is no exception. 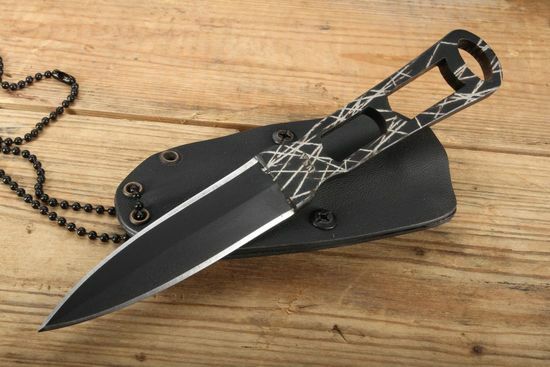 Made with special ops forces in mind, this fixed blade dagger--measuring at 8 inches long in total and weighing just 4.6 ounces--holds great power and utility in any situation. The dagger's 4-inch blade with a blade thickness of 0.23 inches features a needle-point profile with sharpened edges on both sides with flat grinds, making it a great defensive weapon due to its piercing qualities. Made with 80CRV2 carbon steel and finished with a KG black coating with a scarred handle finish gives it great protection from wear and corrosion, which minimizes any maintenance on the blade. In addition, the coating reduces any reflective qualities from the blade. The 4.25-inch handle is lightweight and easy to grip due to its design, making it a great tool for self-defense. The handle's slim profile makes it easy to carry as well. 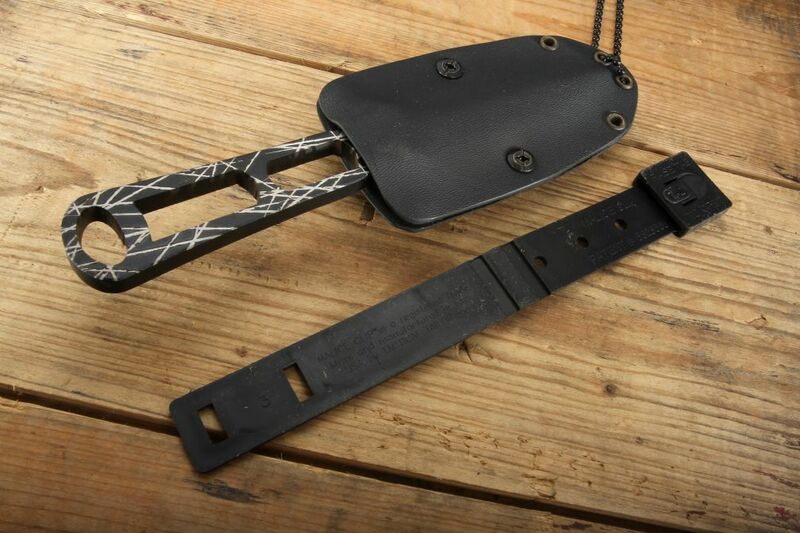 For carrying, the knife comes with a kydex sheath with a metal belt clip, an inside the waist belt loop, and a removable metal ball chain necklace (dog tag style). 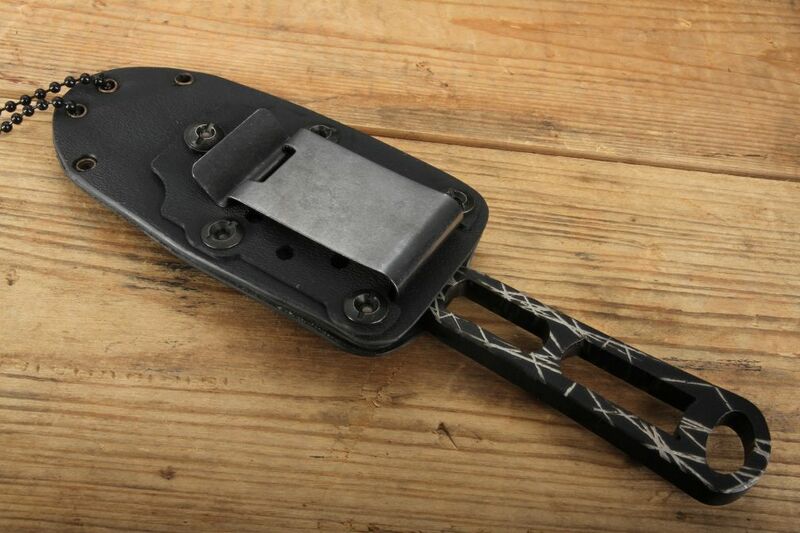 The sheath is compatible for carry with a belt loop or molle system as well. 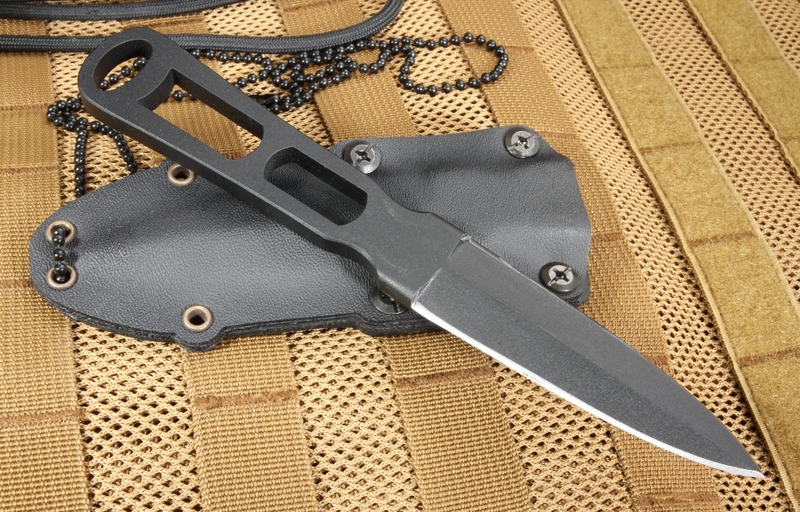 Overall, the Winkler defense dagger is a great option for Close quarter combat or personal defense. It's certainly a good option for anyone who needs a defensive tool in tactical situations. In addition to our provided KnifeArt customer satisfaction policy, you can expect to receive an authentic and high-quality Winkler Defense Dagger covered by our free and fast same business day shipping. The Winkler DD is sharp, the sheath is not the one pictured. It came with a sheath that you can adjust to fit the way you want to carry it. You can modify the sheath to carry tip up, tip down or horizontal. Back to the knife. This is a professional grade tool that will serve the user well for self defense. It is heavy enough to do the job right and actually penetrates several layers of cardboard with ease. I see why the Police or Military would use a knife like this. You can't go wrong with this knife and if it's quality is any indication of Winkler's standard this is a great line of knives.